Are you a student, faculty, or staff member working in a wet lab at the University of Toronto? 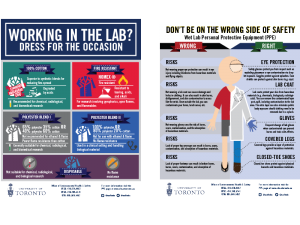 If so, here are some new resources to ensure you are properly dressed for the lab. If you have further questions about lab coats and PPE feel free to contact our office for more information.